“In the fashion world hot pink is the new black and Charter Arms has made it so in the firearms industry too. 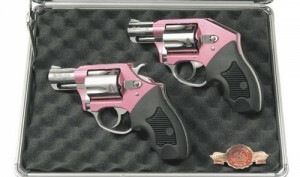 The New Charter Arms Chic Lady revolvers make a real statement. You are currently browsing the archives for the Charter Arms category.